A great addition to any multi-use area that serves multiple functions. When closed, they function like any other Wall Bars, while effectively protecting the mirrors located on the reverse side. 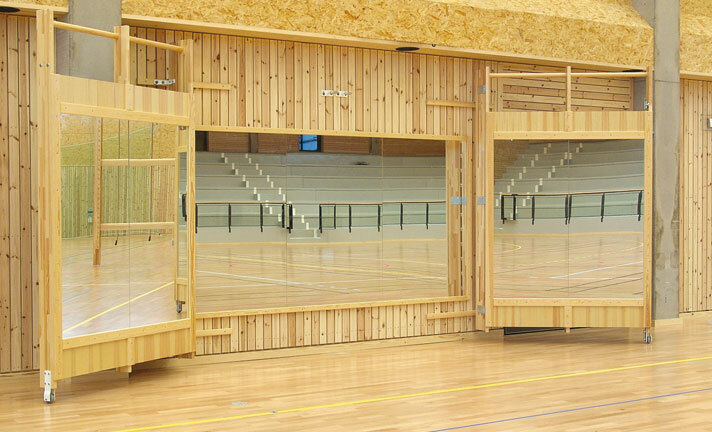 When opened, mirrors are revealed to effectively create a dance studio setting. Can be combined with wall mounted mirrors and hung side-by-side.